PhD: Padel, S. (2002) Conversion to Organic Milk Production: the change process and farmers' information needs; PhD thesis, Aberystwyth University. Lead ORC information programme and livestock, socio-economics and sustainability assessment research programme. Policy evaluation, organic certification, farm business management, markets and consumers and developing research and knowledge networks in support of the organic sector in Europe. Zaralis K, Padel S (2019). Effects of High Stocking Grazing Density of Diverse Swards on Forage Production, Animal Performance and Soil Organic Matter: A Case Study. In: Theodoridis A, Ragkos A, Salampasis M (eds) Innovative Approaches and Applications for Sustainable Rural Development. HAICTA 2017. Cham: Springer International Publishing. pp 131-146. *Bliss, Katie; Padel, Susanne; Cullen, Beth; Ducottet, Charline; Mullender, Samantha; Rasmussen, Ilse A. and Moeskops, Bram (2018) Exchanging knowledge to improve organic arable farming: An evaluation of knowledge exchange tools with farmer groups across Europe. Organic Agriculture, online, X.
Naspetti S, Mandolesi S, Buysse J, Latvala T, Nicholas P, Padel S, Van Loo E, Zanoli R (2017) Determinants of the Acceptance of Sustainable Production Strategies among Dairy Farmers: Development and Testing of a Modified Technology Acceptance Model. Sustainability, 9 (10), 1805. Home, R; Gerrard, C L.; Hempel, C Losták, M; Vieweger, A Husák, J; Stolze, M; Hamm, U; Padel, S; Willer, H; Vairo, D and Zanoli, R (2016) The quality of organic market data: providing data that is both fit for use and convenient. Organic Agriculture, online-first, pp. 1-14. Padel, Susanne; Vaarst, Mette and Zaralis, Konstantinos (2015) Supporting Innovation in Organic Agriculture: A European Perspective Using Experience from the SOLID Project. Sustainable Agriculture Research, 4 (3), pp. 32-41. Zander, K., Padel, S., and Zanoli, R. (2015) EU organic logo and its perception by consumers. British Food Journal, 117 (5), pp. 1506-1526. Marchand, F., L. Debruyne, L. Triste, C. Gerrard, S. Padel, and L. Lauwers. (2014). Key characteristics for tool choice in indicator-based sustainability assessment at farm level. Ecology and Society 19(3): 46. http://dx.doi.org/10.5751/ES-06876-190346. Zanoli R, Gambelli D, Solfanelli F , Padel S (2014) Assessing the risk of non-compliance in UK organic agriculture: an econometric analysis, British Food Journal 116(8), p1369 – 1382. Gerrard, CL; Janssen, M; Smith, L; Hamm, U, Padel, S (2013) UK consumer reactions to organic certification logos. British Food Journal, 115 (5), 727 -742. Gerrard, C., Moakes, S. and Padel, S. (2012) The use of Farm Business Survey data to compare the environmental performance of organic and conventional farms. International Journal of Agricultural Management,2 (1), pp. 5-16. Schmid, Otto; Padel, Susanne and Levidov, Les (2012) The Bio-Economy Concept and Knowledge Base in a Public Goods and Farmer Perspective. Bio-based and Applied Economics, 1 (1), pp. 47-63. Padel, S; Roecklinsberg, H and Schmid, O (2009) The implementation of organic principles and values in the European Regulation for organic food. Food policy, 34, pp. 245-251. Padel, S. (2008) Values of organic producers converting at different times: Results of a focus group study in five European countries. Int. J. Agricultural Resources, Governance and Ecology, 7 (1), pp. 63-77. Padel, S. & Foster, C. (2005) Exploring the gap between attitudes and behaviour: understanding why consumers buy or do not buy organic food. British Food Journal, 107(8) 606-625. Padel, S. & Midmore, P. (2005) The development of the European market for organic products: insights from a Delphi study. British Food Journal, 107(8) 626-647. Vaarst, M, S Padel, M Hovi, D Younie and A Sundrum (2005) Sustaining animal health and food safety in European organic livestock farming- presentation of a European Network Project. Livestock Production Science 94 (1-2 ), 61-69. Nicholas, P.K, S. Padel, S. P. Cuttle, S. M. Fowler, M. Hovi, N. H. Lampkin and R. F. Weller (2004) Organic Dairy Production – A Review. Biological Agriculture and Horticulture 22(3), 217-249. Padel, S. (2001) Conversion to organic farming: a typical example of the diffusion of an innovation. Sociologia Ruralis 41 (1), 49-61. (Chapter 2). Burleigh Dodds Science Publishing Limited. Padel S, Rubenstein O, Woolford A, Egan J, Leake A, Levidow L, Pearce B, Lampkin N (2017) Transitions to Agroecological Systems: Farmers’ Viewpoints. A Report for the Landuse Policy Group. Newbury and Fordingbridge: Organic Research Centre and Game and Wildlife Conservation Trust. Padel S (2017) Introduction to global markets and marketing of organic food. In: Deciphering Organic Foods: A Comprehensive Guide to Organic Food Consumption” (Karaklas I, Muehling D (Eds). Nova Publishing, Hauppauge, Chapter 8, 187-216. Padel S, Zaralis K, Measures M, Sumption P (2016) Farmer Handbook reporting the outcome of participatory research findings. Organic Research Centre. Newbury. Sanders J, Gambelli D, Lernoud J, Orsini S, Padel S, Stolze M, Willer H, Zanoli R (2016) Distribution of the added value of the organic food chain. Thünen Institute of Farm Economics. Braunschweig. Knudsen T, Preda T, Djomo S, Valbuena PV, Hermansen JE, Smith LG, Padel S (2016). SOLID Deliverable D4.3: Assessing environmental impact of low-input and organic dairy systems. Zaralis K, Rinne M, Kurki P, Dragomir C, Gerrard C, Padel S (2016). Innovative strategies related to forage production, utilization and feeding for dairy cow productivity. Deliverable 1.2 for SOLID. Lampkin NH, Pearce BD, Leake AR, Creissen H, Gerrard CL, Girling R, Lloyd S, Padel S, Smith J, Smith LG, Vieweger A, Wolfe MS (2015) The role of agroecology in sustainable intensification. Report for the Land Use Policy Group. Organic Research Centre, Elm Farm and Game & Wildlife Conservation Trust. Schmid, Otto; Padel, Susanne; Lampkin, Nic and Meredith, Stephen (2015) Organic Action Plans: A Guide for Stakeholders. IFOAM EU, Brussels, Belgium. Padel, Susanne; Gerrard, Catherine L; Smith, Laurence; Schader, Christian; Baumgart, Lukas; Stolze, Matthias and Pearce, Bruce (2015) Further Development of Methodologies for Sustainability Assessment and Monitoring in Organic/Ecological Agriculture. ORC reports, no. 2015/1. Organic Research Centre, Newbury. Barret, Philippe; Marq, Pascal; Mayer, Carolin and Padel, Susanne (2015) Research for transition: Europeans deserve a better agricultural and food policy. Université catholique de Louvain and Organic Research Centre commissioned by the Greens/EFA in the European Parliament, Brussels. Gerrard CL, Home R, Vieweger A, Stolze M, Padel S (2014) Results of Surveys on Organic Market Data Collectors and End Users in Europe. In: Rahmann, G. and Aksoy, U. (Eds.) Building Organic Bridges, Johann Heinrich von Thünen-Institut, Braunschweig, Germany, 4, Thuenen Report, no. 20, pp. 1139-1142. Gerrard CL, Padel S, Lampkin N (2014) English Organic Producer Survey 2013. Report, no. 2/2014. Organic Research Centre, Newbury. Lampkin, N and Padel S (2014) Written evidence from the Organic Research Centre to the National Assembly for Wales Inquiry into organic production and labelling of organic products. Leach, K., G. Palomo, W. Waterfield, K. Zaralis, and S. Padel (2014) Diverse swards and mob grazing for dairy farm productivity: A UK case study. In: Rahmann, G. and Aksoy, U. (Eds.) Building Organic Bridges, Johann Heinrich von Thünen-Institut, Braunschweig, Germany, 4, Thuenen Report, no. 20, pp. 1155-1158. Moeskops, B., E. Torremocha, A. M. Häring, S. Padel, G. Brunori, and C. Micheloni (2014) Action Plan for Innovation and Learning. Agroecology and Organics in EU Innovation Policy. In: Rahmann, G. and Aksoy, U. (Eds.) Building Organic Bridges, Johann Heinrich von Thünen-Institut, Braunschweig, Germany, 1, Thuenen Report, no. 20, pp. 69-72. Padel S, Lampkin N (2014) Wie wird der Ökolandbau in Europa gefördert? [How is organic farming supported in Europe?] Ökologie und Landbau, 171(3):12-14. Contributed chapters to Sanders, J. (Ed), 2013. Evaluation of the eu regulation on organic farming. Braunschweig: Thuenen Institute. Padel, S., Sanders, J. and Vieweger, A. (2013) Chapter 4: Intervention Logic of the EU legislation on organic farming. pp. 41-50. Padel, S., Adams, L., Foster, C., 2013. Chapter 6: Adequacy of the scope of the regulation. pp. 53-72. Padel, S., Vieweger, A., Nocentini, L., Devot, A., Schmid, O. and Stolze, M. (2013) Chapter 7: Adequacy of the production rules. pp. 73-130. Padel, S. and Foster, C. (2013) Chapter 11: Simplified administration and management of the organic farming legislation. pp. 219-234. Sanders, J., S, P., Nocentini, L., Stolze, M., Huber, B., Zander, K., Polakova, J., Keenleyside, C., 2013. Chapter 14: Towards and improved legislative framework for organic farming - overall conclusions and recommendations. pp. 273-294. Padel, S. (2013) Organic Farming as a European Innovation System. In: Løes, Anne-Kristin; Askegaard, Margrethe; Langer, Vibeke; Partanen, Kirsi; Pehme, Sirli; Rasmussen, Ilse A.;Salomon, Eva; Sørensen, Peter; Ullvén, Karin and Wivstad, Maria (Eds.) Organic farming systems as a driver for change, NJF Report, no. 9 (3), pp. 15-17. Leach, Katharine; Gerrard, Catherine L and Padel, Susanne (Eds.) (2013) Rapid sustainability assessment of organic and low-input farming across Europe and identification of research needs. Deliverable 1.1, no. EU- SOLID project. ORC, Hamstead Marshall, Newbury. Ekert, S; Döring, T; Häring, A; Lampkin, N; Murphy-Bokern, Dl; Otto, K; Padel, S, Vieweger, A (2012) Evaluation des Bereichs Forschung und Entwicklung im Bundesprogramm Ökologischer Landbau. [Evaluation of the German Federal Research Programme on Organic Agriculture.] Bundesanstalt für Landwirtschaft und Ernährung, D-Bonn, Geschäftsstelle Bundesprogramm Ökologischer Landbau und andere Formen nachhaltiger Landwirtschaft. Gerrard, CL; Vieweger, A, Padel, S (2012) Inventory of data collecting and publishing institutions (= Deliverable 2.1 of the OrganicDataNetwork project: Report on data collectors). OrganicDataNetwork project, c/o University of Ancona. Leach, K; Gerrard, CL; Kudahl, AB; Nykänen, A; Vaarst, M; Weissensteiner, R, Padel, S (2012) Assessing the sustainability of EU dairy farms with different management systems and husbandry practices. In: Rahmann, Gand Godinho, D (Eds.) Agriculture and Forestry Research (362), pp. 277-281. Sander, J, Stolze, M and Padel, S (2011) Use and efficiency of public support measures addressing organic farming – Final report - November 2011. Study conducted by the Johann Heinrich von Thünen-Institut (DE) together with the Research Institute of Organic Agriculture (FIBL, CH) and the Organic Research Centre (UK) on behalf of the DG Agriculture of the European Commission. Gerrard, C L; Smith, L; Padel, S; Pearce, B; Hitchings, R; Measures, M and Cooper, N (2011) OCIS Public Goods Tool Development. Organic Research Centre, Newbury. Gerrard, Catherine L and Padel, Susanne (2011) Production costs across the EU in 2006. Organic Research Centre Bulletin, April 2011, 104, pp. 12-13. Lampkin, N., Measures, M. and Padel, S. (Eds.) 2011. 2011/12 Organic Farm Management Handbook. Organic Research Centre Newbury. Padel, S and Zander, K (2011) Communicating with customers. Organic Farming, 2011, Spring (106), pp. 29-31. Padel, S., Schaack, D. & Willer, H. (2011) The Organic Market in Europe. IN WILLER, H. & KILCHER, L. (Eds.) The World of Organic Agriculture, Statistics and Emerging Trends 2011. Bonn and Frick, IFOAM and FiBL, pg 156-160. Padel, Susanne (Ed.) (2010) The European Regulatory Framework and its Implementation in Influencing Organic Inspection and Certification Systems in The EU. Organic Research Centre - Elm Farm , Newbury. Padel, S and Zander, K (2010) Regional production’ and ‘Fairness’ in organic farming: Evidence from a CORE Organic project. In: Darnhofer, Ika and Grötzer, Michaela (Eds.) WS4.3 – Fair and regional: New trends of organic and sustainable food systems, Universität für Bodenkultur , Vienna . Padel, S., Niggli, U., Pearce, B., Schlüter, M., Schmid, O., Cuoco, E., Willer, H., Huber, M., Halberg, N. & Micheloni, C. (2010): Implementation Action Plan for organic food and farming research. TP Organics. IFOAM- EU Group, Brussels. Available at www.tporganics.eu. Padel, S; Smith, L and Janssen, M (2010) Are shoppers aware of Organic Certification logos? Organic Research Centre Bulletin, August 2010, pp. 4-5. Zander, K; Hamm, U; Freyer, B; Gössinger, K; Hametter, M; Naspetti, S; Padel, S; Stolz, H; Stolze, M and Zanoli, R (2010) Farmer Consumer Partnerships - How to successfully communicate the values of organic food. Self-published, Department of Agricultural and Food Marketing, University of Kassel, Witzenhausen. Padel, S. & Gössinger, k. (Eds.) (2008) Farmer Consumer Partnerships Communicating Ethical Values: a conceptual framework, Aberystwyth and Vienna, Aberystwyth University and University of Natural Resources and Applied Life Sciences. Padel, S. and Lampkin, N. (2007) Chapter 8: The development of governmental support for organic farming in Europe. In: Lockeretz, W. (Ed). Organic Farming An International History. Wallingford: CABI, pp. 93-122. 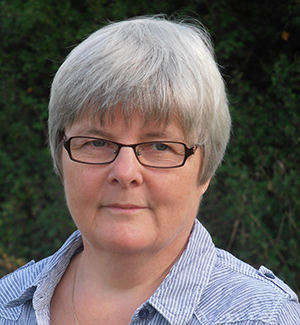 Click here to see Susanne Padel's publications on Organic eprints.